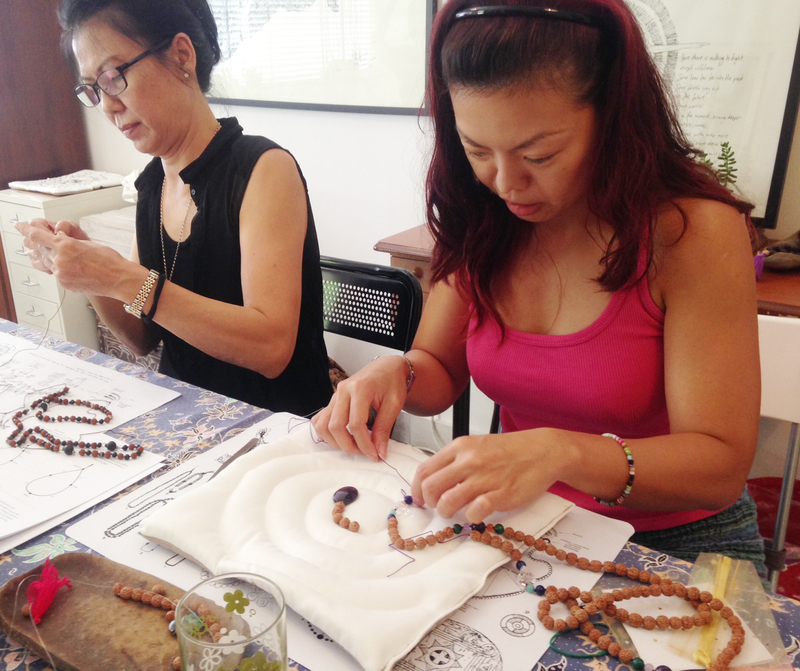 Design and make your own rudraksha mala with crystals, knotting, and finishing with a handmade tassel. 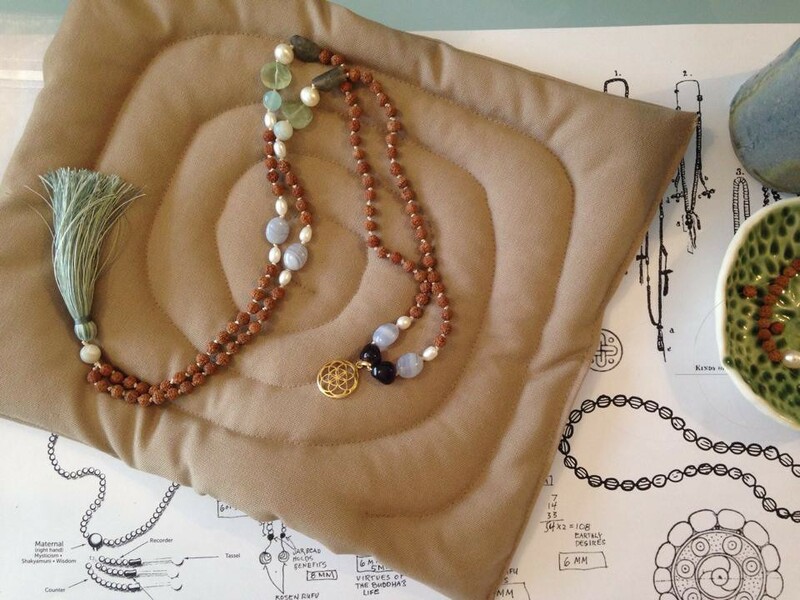 Making a personal mala is so meaningful – you get to choose crystals to suit your intention and needs, and by putting your own energy into the making of it, this mala is truly yours and one-of-a-kind! 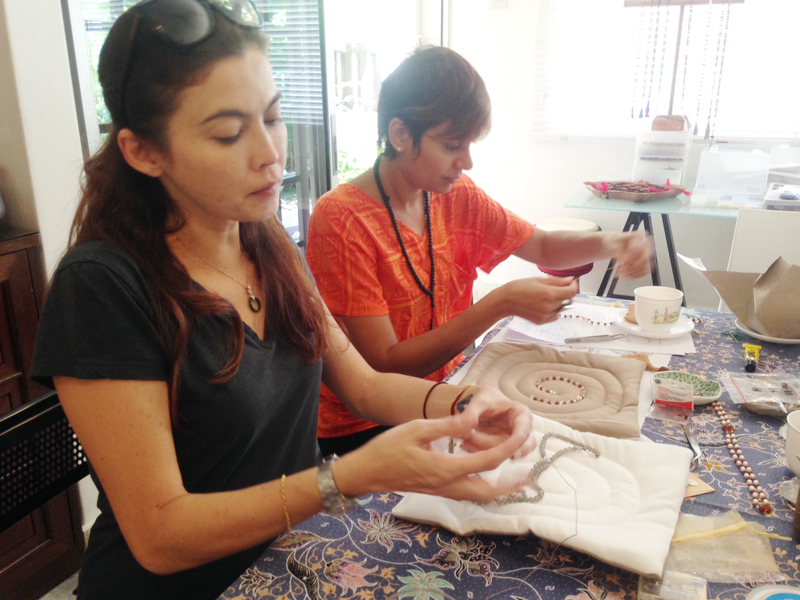 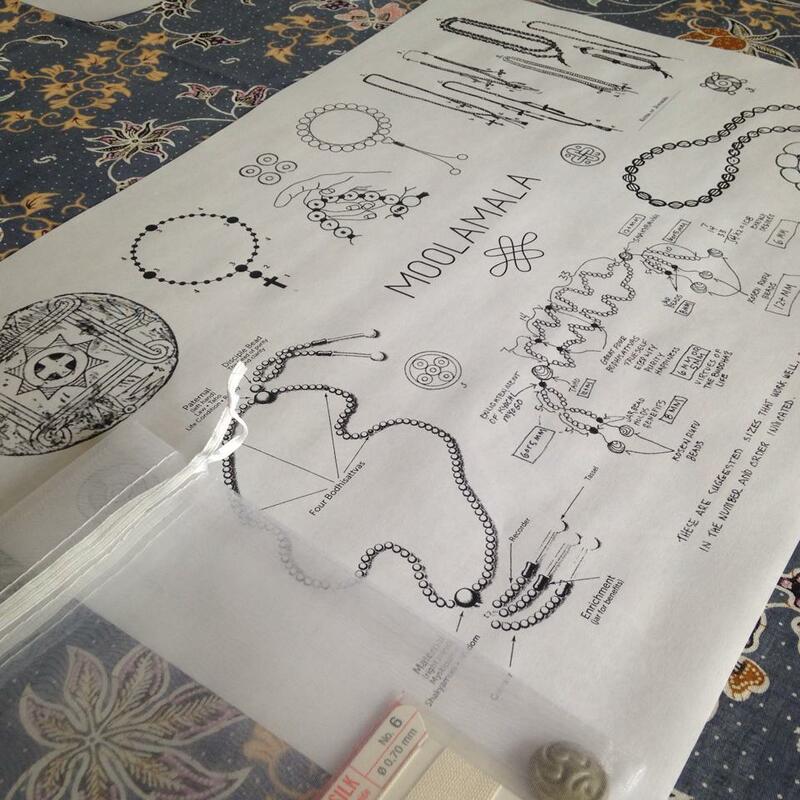 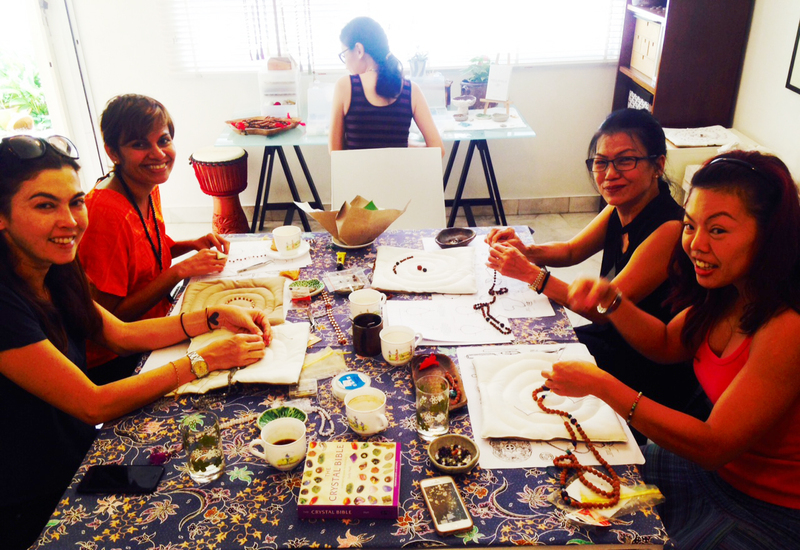 ‘Like’ the ‘Moolamala’ page on facebook or check the blog for updates for workshops and mala making circles happening in Kuala Lumpur, Malaysia. 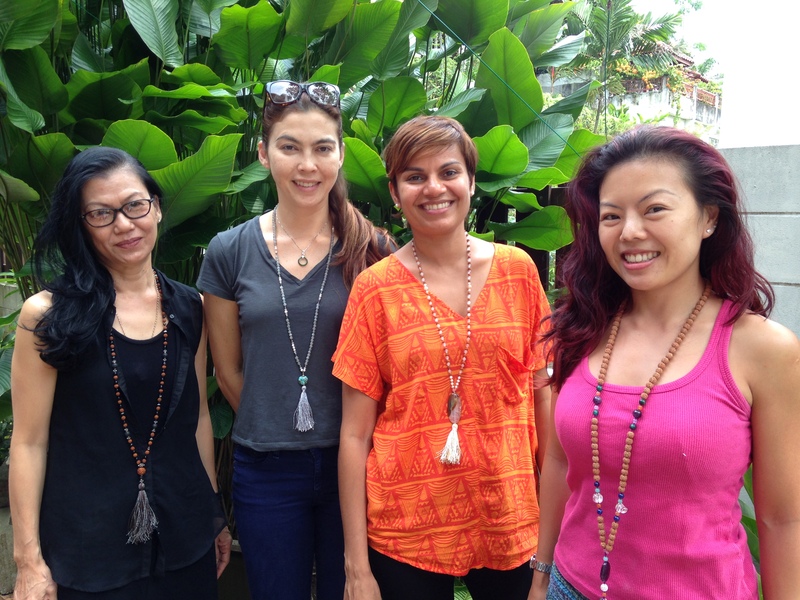 Alternatively, if you have a group of 3 (minimum) to 8 (maximum) friends who would like to learn the therapeutic art of making a mala or beaded tassel necklace, send me a note and we can arrange a class.